Because of Iceland’s unique geographical position, it has been graced by some of the world’s most beautiful and exceptional rock formations. Located on the Mid-Atlantic ridge, home to an unrivaled level of volcanic activity, tube caves abound—a result of magma activity in the region. With a guide, these tube caves offer year-round tours and exploration. 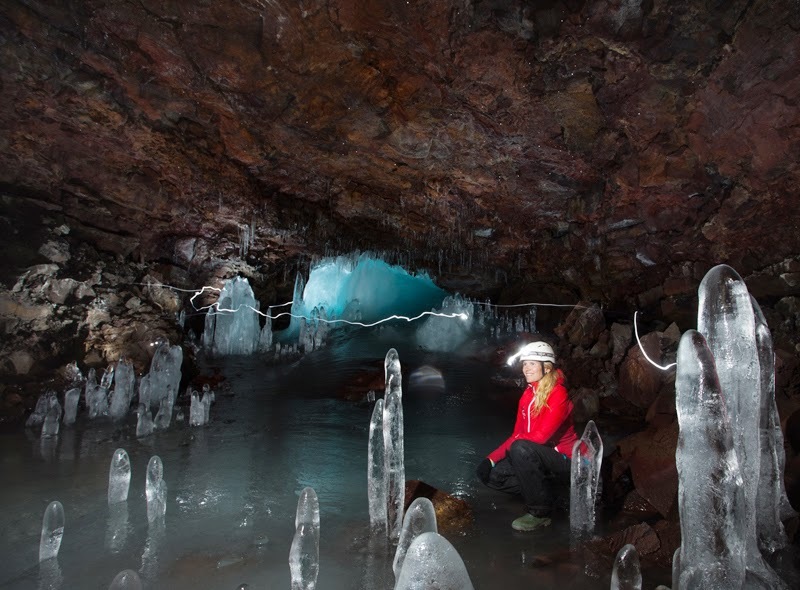 Due to Iceland’s climate, certain caves are only available at certain times of the year. The most popular summer cave is Gjábakkahellir Cave, while the most popular winter cave is Leiðarendi Cave. The first is located near Þingvellir, and the second in Bláfjöll. Tours through these caves are often combined with other activities, the favorites being ATV riding or snorkeling in the area. 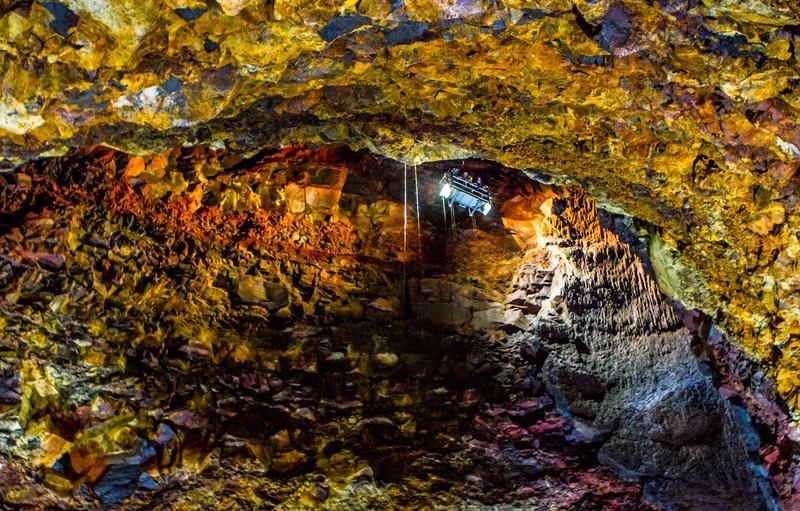 One of the major draws of Iceland’s caves is the ability to actually go into a magma chamber. Few other places in the world provide this same opportunity. This chamber is called the Þríhnúkagígur crater and represents an erupted volcano. Now more than 4000 years old, it is dormant and massive, spanning the space of three basketball courts. The hike into the interior of the Þríhnúkagígur crater is about an hour and a 120 meter cable lift descent into the belly of the volcano, letting out into a chamber that could house the Statue of Liberty. What makes this area so special is that most volcanic eruptions cause magma chambers to collapse. This volcano’s eruption did not, preserving a unique natural formation that most find awe-inspiring. 1. 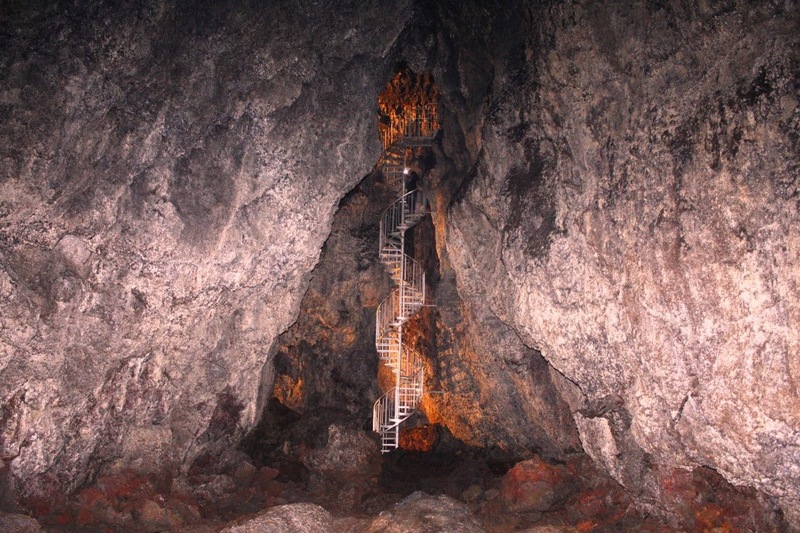 Vatnshellir cave – Located on the Snæfellsnes peninsula, this volcano can only be reached by guided tour. A staircase descends to the mouth of a tall, wide passage that lets out into the cave after a short walk. This cave gets very cold, even during the warm months, so coats, hats, and gloves are recommended. The tour itself is about an hour long. 2. Lofthellir cave – One of the most popular caves in Northern Iceland, this lava cave is also fairly old. It is riddled with incredible ice sculptures and rock formations carved by ancient magma activity. 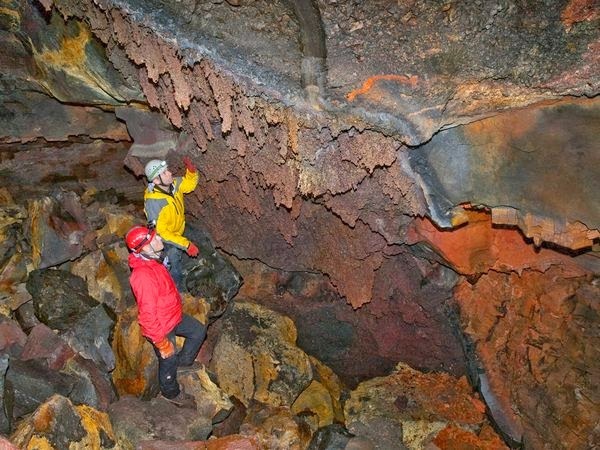 Visit Askja offers guided cave tours at Cave Lofthellir in north Iceland. 3. Búri cave – On the Reykjanes peninsula, this cave was only added to the list of known caves in 2005. It is, by far, the largest cave in Iceland, measuring ten meters high, ten meters at its widest, and over a kilometer long. The world’s deepest lava pit is housed here as well, descending seventeen meters deeper into the earth. Some explorers are put off by the narrow entrance, but once inside, marvel at the sheer size of the cave and the rock formations and ice sculptures. While the ice is at its best during the winter, this cave is open year round. There is a slight climb required to get to the pit, but it is worth the views. 4. Thrihnukagigur cave – Another impressive crater, this time housed in Southwest Iceland, this cave is one of the most unique volcano exploring opportunities in the world. 4000 years of dormancy and no recent activity at all makes this a safe, but exhilarating exploration, descending right into the belly of the volcano. Some compare the incredible rock formations and colors to an elaborate palace. This cave also plays home to a giant magma chamber. 5. Gjábakkahellir cave – This cave is one of the Iceland’s best examples of a magma tube, created as the magma on the surface solidifies as magma continues to travel beneath. The result is a series of beautiful formations and ice sculptures. This cave is about 9000 years old, and is in Thingvellir National Park. Caves play an important role not just in geographical studies, but also in an understanding of history and biology. 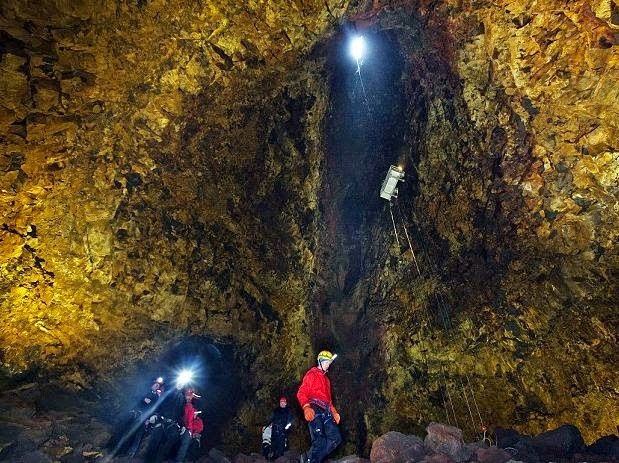 Over the years, caves have played home to both humans and animals, and they have strong ties to Icelandic history. With the range of caves in Iceland, there is no better place for a cave adventure or to see some of the most beautiful and unique natural formations in the world.